Zebras are hoofed mammals belonging to the equid (horse) family, and they are endemic to Eastern and Southern Africa. The animals are perhaps best known for the black stripe marks on their bodies, which is believed to be an evolutionary adaptation that helps protect them from predators. 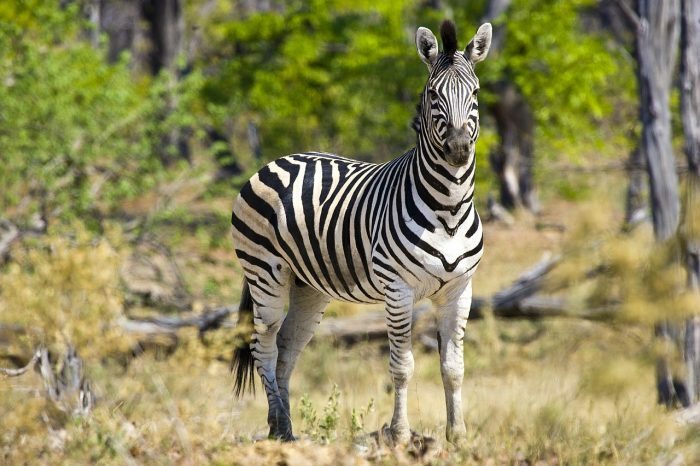 There are three species of zebras and these include the plains zebra, the mountain zebra and the Grevy’s zebra. Mountain zebras have two sub-types, and these are the Cape mountain zebra and the Hartmann’s zebra. Gathering in groups, coupled with their striped markings, is believed to give zebras added protection from predators.